For many years, Oakhill Day School hosted a Fly-Up Night; an opportunity for the leaders and board of the school to discuss accomplishments and the status of financials with parents. This school year, we decided to bring back the State of the School address, combined with an alumni mingle, to give parents a clear picture of where the school is financially and academically, while also showcasing the specific accomplishments of our alumni community. This post is intended to give our community specific takeaways from the event that give clarity to where Oakhill currently is, and where we are going for the 2019-2020 school year. The school has not only seen growth in our student population, but in faculty and staff, fundraising, and much more. Oakhill Day School celebrated its 70th Anniversary during the 2018-2019 school year. Suzanne McCanles gives a quick rundown of the school’s history, major events, and how our history shapes our future. A quick overview of Oakhill’s more recent history - the purchase and renovation of the South Campus Building, and the opportunities that have arisen with the new space. Take a look at the budget and revenue from the current school year, as explained by Ron Gregg. Development Director Rebecca DiGerlamo discusses the Annual Fund, Capital Campaign, and other fundraising goals for the 2018-2019 school year. For more detailed information on last year’s fundraising, you can view the 2017-2018 Annual Report online. What changes can be expected in the 2019-2020 school year? Check out our new program offerings and changes to tuition. 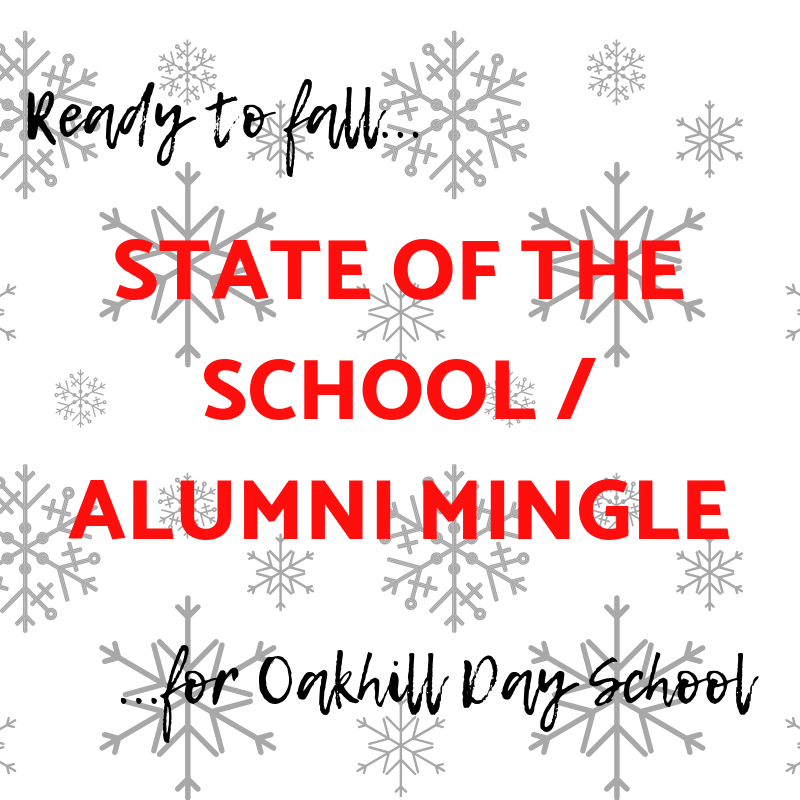 The alumni mingle was started upon the request of many families with the desire to know what Oakhill graduates have accomplished once they leave the school. Alumni Coordinator Claudia Feaster shares some of the experiences of Oakhill Alumni and their educational achievements, as well as what we see as our “Portrait of a Graduate”. To read up on our alumni and hear their presentations from previous events, visit our "Meet Our Alumni!" page. The State of the School Address was given on January 8, 2019 by Head of School, Suzanne McCanles and Board of Trustees President, Ron Gregg. Please contact the Central Office with any questions.